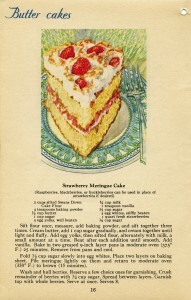 This vintage cookbook page includes an illustration of a Strawberry Meringue Cake and the recipe to make it. 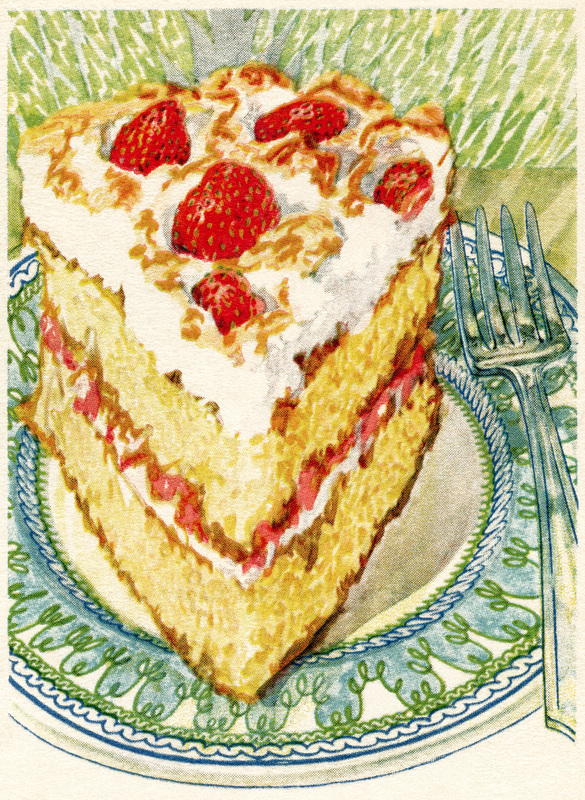 Here is a cleaner version of the cake from the page. 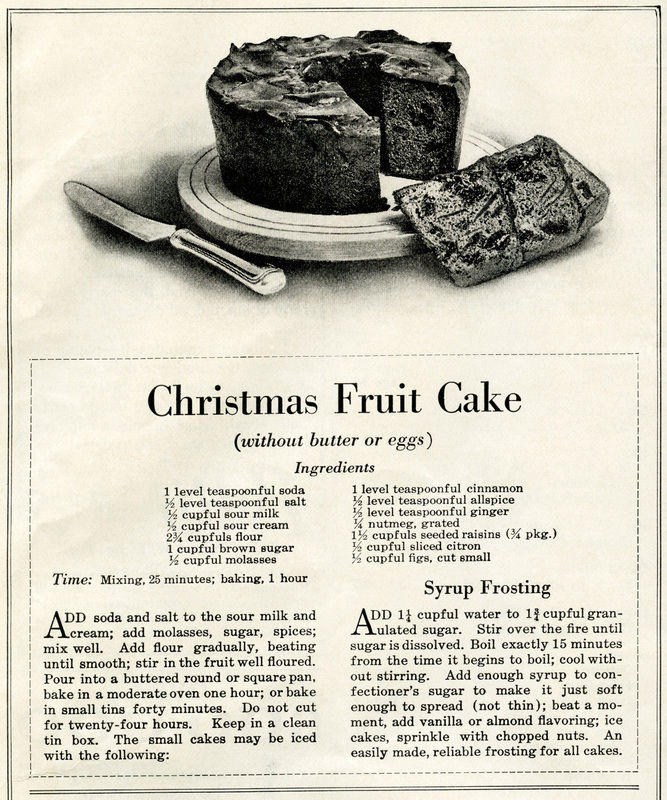 My original scan is from Cake Secrets, by Igleheart Brothers Inc., 1928 P. Co., Inc. (copyright was not renewed). I do believe I will make this cake! 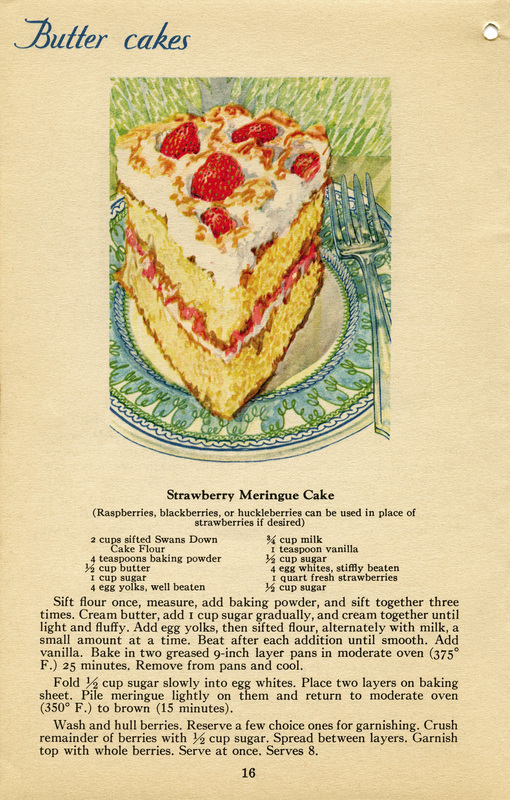 If you make this cake, I’d love to see a picture of it!